The Spring 2013 Bulletin focuses on the adaptability of Current Designs subject response systems. With the FIU-932 system the response pads and computer outputs can easily be customized when necessary. Can't find what you need with the 24 standard response options available through our website? No worries! Current Designs makes a wide range of custom response devices. They all work with the FIU-932 or FIU-904 and standard fiber optic bundles and cables. Our design process can help you get exactly what's needed. It's as easy as 1,2,3. 1. Exact drawings are made from customer provided specifications. 2. 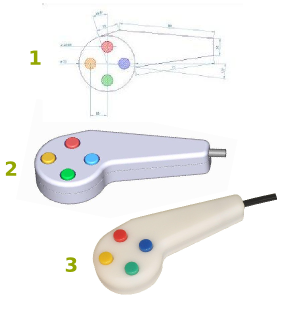 The dimensions are used to generate a 3D computer model of the device, which can be rotated and evaluated visually. 3. The device's enclosure and fiber optic components are fabricated and assembled. Moving or adding buttons to our standard enclosures. Using other enclosures that are larger or smaller. Fabricating an enclosure based on a researcher's specifications. This involves some back and forth, but with our modeling and CNC tools it's an easy and cost-effective to get exactly what's needed for your subjects. Using a researcher supplied enclosure. Often this is from an electrical device which is used in a non-fMRI setting. 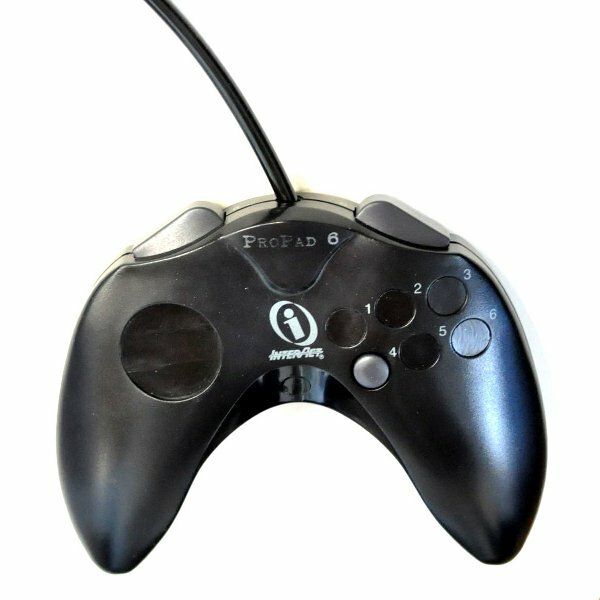 Successful examples including the gamepad and footpedal show here. Introduced in 2009, the FIU-932 (fORP Interface Unit) is the center of the light-based computer response systems developed at Current Designs. The 932 measures light inputs continuously, not only watching for light flux to cross thresholds, but rating the "health" of the attached devices by comparing insertion losses to values based on our accumulated records. This can help reduce downtime by warning users when it might be time to check their equipment, especially when the 932 is used in conjunction with Arkeya (our recently released diagnostic and configuration software). The MDR-36 connector provides legacy parallel and serial outputs but for many customers what makes it really shine is the capacity it provides for custom outputs, such as direct analog force signals and special synchronizing signals. The 932 interface has made better response devices possible including the redesigned trackball, joystick and five button response grip. Introducing Pyka, our newest response device. Finally, we have a great five-button response box. It's been designed to be easy to hold and easy to use. 1. Simple shape that's ergonomic to grip. 2. Cupped buttons to position finger tips. 3. Buttons springs are easy to push, for thumb to pinky responses. 4. Ambidextrous design for either hand. 5. Natural hand position for holding on or next to the thigh, or resting on the chest. A directory page for the response devices for the 900 series interfaces, with links to product, support and use mode pages. 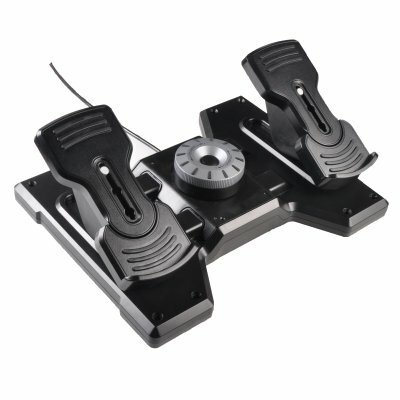 This page describes how to use the HHSC-SCRL-1 scroll wheel device with an FIU-904 interface unit.